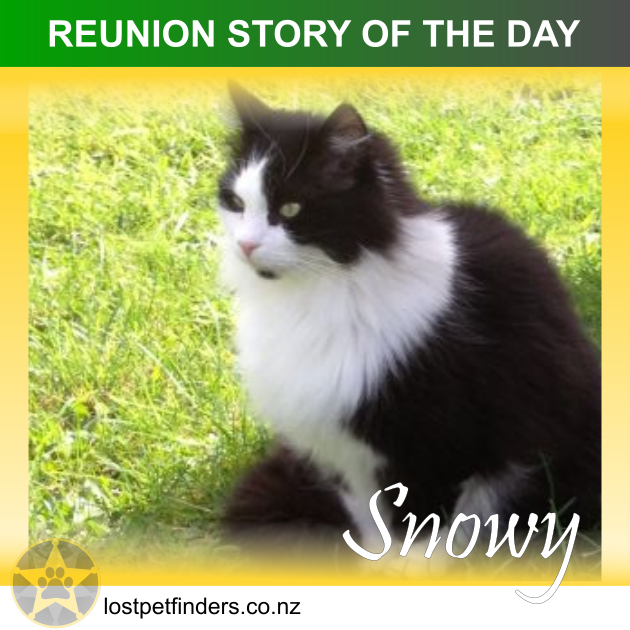 "Snowy turned up after nearly a month away. We started to feel quite despondent that we wouldn't see him again. Last night I heard a faint meow at the slide doors. It was quite late so I tentatively opened the door to see him. I was so pleased he had returned. Don't give up just keep putting flyers out and canvassing your area. Go out in the evening and call for your cat. Cats are very resilient and even after many weeks or even months they make their home.